This year it seems to turn hot too soon. Just being the end of June but I feel like I’m lost in somewhere muggiest all over the world. 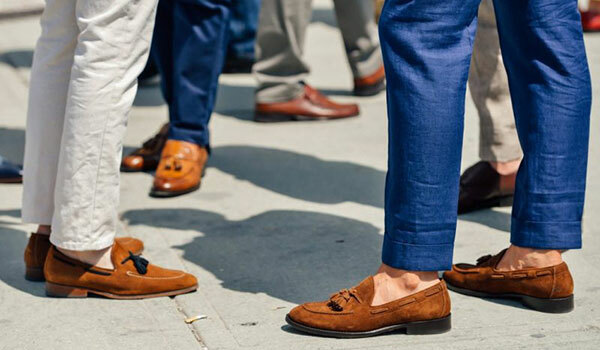 The men footwear types which speak highly the comfort while ensure the aesthetic have always been first priorities in the summer season of the gentlemen. Obviously a designer understands that, despite how a man stylish, he is still “lazy”, they can’t try during the whole year to care about costume little by little as women, especially in hot weather as today. 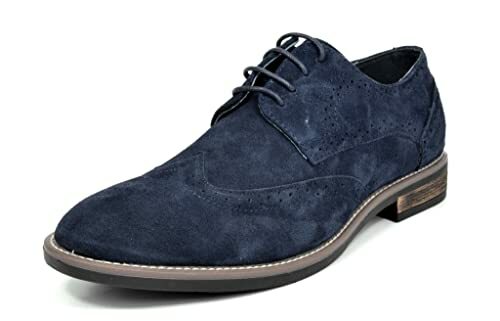 So, these top summer shoes for men which have comfortable design, quick operation, and high applicability that I introduce below will make you enjoy. 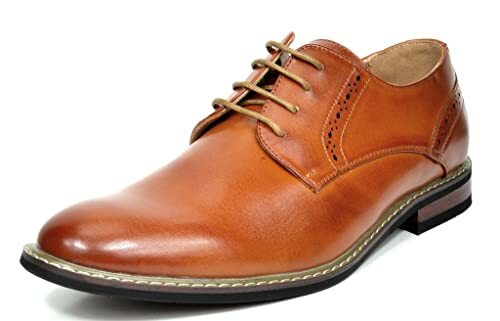 Brogues is a name to call the Oxford or Derby shoes which have broguing motifs (punched) and are designed fussily with the toe covering laterally beveled like wings. This style is Wingtip. 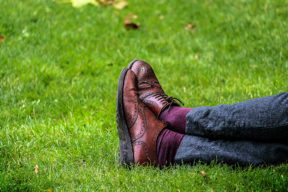 Besides, there are Semi Brogues, Quarter Brogues. and LongWing. Brogues are usually made from leather or suede, have a lot of color, and are matching the formal situations. This is originated from Scotland and Ireland in the role of the travel costume of the cattle on the prairies. Later, it became the key in the closet because it can coordinate with many fashion styles. With Brogues, your overall costumes will be from the correction go forward to the elegance. A vest, trousers, jeans, or chinos can be perfect with these shoes. The prominent men-stars like Adam Gallagher, Kit Harington or Tom Hiddleston, … all fall in love with the Brogues. They usually wear them on the street or even the red carpet. Below I would like to introduce you 3 of the best Brogues I have used. This shoe is an oxford model in classic brogue style. Its design is done in USA. It shows you a line of product very comfy because of the high-end leather. The sole of these shoes is about 1-inch high and made of wood. I wore it lots of time. I was very surprised because they came much more beautifully than I expected before receiving the shoes. This is the pair of shoes that I will never regret about the decision buying it. Verdict: This Bruno MARC PRINCE Men’s Modern Classic Brogue is the best for who are the stylish men. In additions, it is also suitable for who usually walk, stand, climb stair when wearing shoes all day. Because of the sole support very good, your feet will not be exhausted. The locations you should wear it to are the wedding, beach party, luxurious restaurant or office. It is very reasonable when used in either daily or occasional chance, either casual dress or suit. This is the Oxfords I often wear, too. The typical feature of these Oxfords is the plain toe with the stripe midsole. It is made from the high-quality suede leather. The front is closed by lace. And the sole is made of rubber very long-lasting with 0.5-inch platform and 1-inch heel. Verdict: It is best for who need to wear shoes for all day, especially at office daily. But I think it is better with slacks than jeans. This is also Oxfords shoes I have bought due to its classic wing tip style. It has a lot of color for you to choose and every color looks very gentle. It makes me highly appreciate at first sight because of the lining and upper made from soft and faux high-end leather. The producer designed it in USA with the sole made from hard but flexible wood about 1-inch high. Especially, the footbed of this is cushioned with latex very comfortable. Verdict: In my opinion, I think it is the best for the teenage boy as well as other men from your family’s member to partner. It is suitable for who usually walk but not for all day long. The locations very matching with these shoes are the speeches, parties, weddings or dancing for some hours. In general, among these 3 designs of Brogues, I highly advice you give a try for the Bruno MARC PRINCE Men’s Modern Classic Brogue. Why? Because I have no complaint for its quality. It brings me the feeling very nice when wearing. It is extremely stretchy so I completely don’t worry about the tightness when I first wear it after open the shoes box. I especially love the brown one best. The leather material in this color is really warm and delightful. 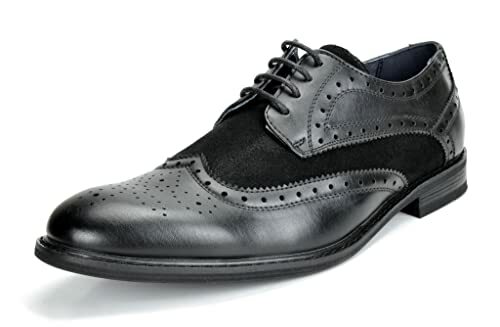 How about BRUNO MARC MODA ITALY URBAN Men’s Casual Wing Tip Brogue? It also makes me feel the look is as good as comfortableness. All in all, it works quite well. It is one should-have item we recommend. But I am not pleasant because of the quickly-go-wear heel of these shoes. Importantly, it is not a shoe really impressive in my eyes. Lastly, the Bruno MARC PRINCE Men’s Oxford Modern Classic Brogue is really beautiful but it make my feet hurt if I wear it all day. Yet I don’t like the sophisticated design of this shoe much. Although I have to say that it is also the affordable shoes. Loafer is a classic shoe type which represents the youthful, comfortableness that all the legs are pierced into incredibly easily. The design of low shoes, without strap or lock, only characterized by U-shaped upper helps loafer bring the convenience to user. The history of the loafer shoes were recorded beginning in the 19th century in England. From shoes you just need to pierce the foot on to use in the home, especially in the summer villa in the countryside of England of the Royal family and the nobility. Until now, loafers always is indispensable fashion accessories, day-to-night style, most comfortable. Typically, James Franco, Shia LaBeouf, Ryan Gosling are the most attractive famous men who frequently choose loafers shoes to match with suit when attending events or T-shirt and trousers on the street. I have bought these when I look for comfortable casual shoes to wear in office. Their sole is made of canvas. And the upper has textile very cool. Verdict: It is the best for who is the long-distance runner and who have to stand or walk during the day as well. It is also suitable for who both usually travel on the long flights and work in an office. It is perfectly matching with the casual clothes. These shoes are made of manmade material with rubber soles. Being a penny loafer in classy style, it has the coin-keeper strap at the vamp. Besides, it also stitches the moccasin at the toe. Verdict: This is the best for who love the top brands, especially fans of Tommy. 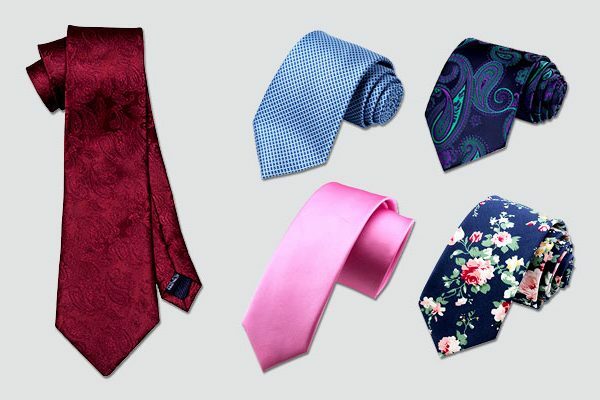 In addition, the most stylish men and the rather old men – like your father also fits it well. Of course, these shoes are only dedicated for who really prioritizes the look of the footwear more than the last. 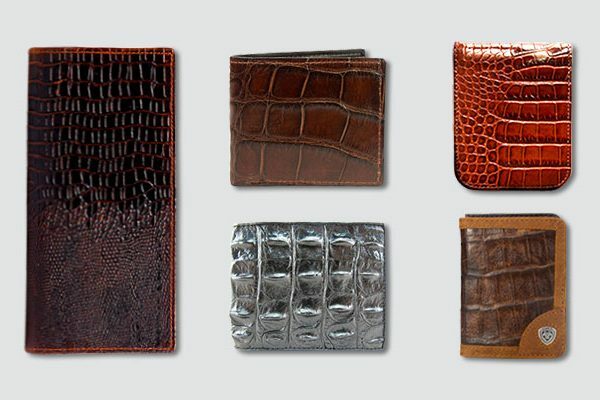 This is made of leather which is full grain type, breathable and not hard to preserve. The sole is flexible thanks to the synthetic material. It also has the footbed to help you wear more comfortably. Verdict: This is best for who have to wear when working all day. This is also very suitable for some events like walking on red-carpet. Besides, it is also good in pair with a business suit. And when the weekend comes, why don’t you wear them to have the hanging out with your darlings? How perfect it is! I am sure that Tommy Hilfiger Men’s DAVEY Penny Loafer is the shoes I love best in 3 models of loafers I have bought and introduced you above. Because its style is my favor. It is easy to slip on and off, too. So, I highly recommend you to buy it. For Crocs Santa Cruz 2 Luxe Loafer, I was very happy because I can slip them on or off very simply and these bring me the feeling walking on the cloud. But I don’t like a little a pair of shoes with the fabric material too thin like this. That make me feel I am wearing the cheap-quality shoes. So if you have the same opinion as me, I think it hasn’t been your right shoes yet. 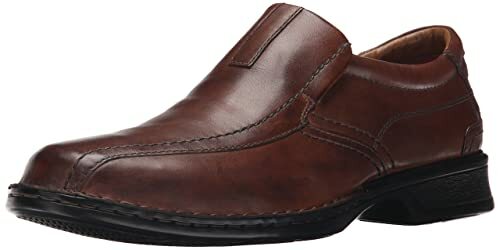 Finally, Clarks Men’s Escalade Step Slip-on Loafer is very comfortable, I have to notice that. I wore it during the working day but there are no troubles. But the only drawback of this is its sole sounds loud in my each step. Meanwhile, I am rather unsatisfied when I must annoy others because of wearing these shoes. So I don’t feel this is the right one for me. Trainers are the shoes which are designed specifically for the sport practice. Appeared in the early years of the last century, they begun as a template for the production of rubber-sole shoes for tennis. 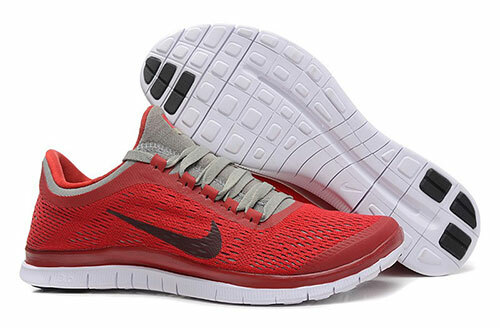 Gradually, they become the popular men’s sports shoes, widely known in the sports community in particular and the total people love shoes in general. Until now the trainers have modern, youthful, and familiar styles to almost everyone, became an important part in costume of modern gentlemen. In them, there are no lack of the famous men stars, for examples: Kevin Durant, David Beckham and Kanye West. 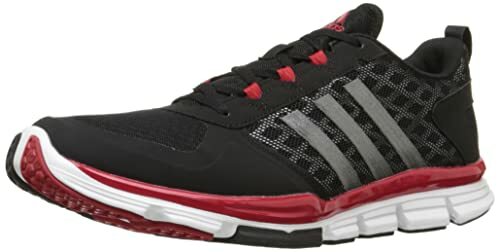 This shoe is the trainer I have hunted for a long time to get an Adidas lightweight and durable. The design of this Adidas includes: the outsole, EVA midsole and rubber sole, the upper air mesh, the overlay textile, etc. Verdict: This is the trainers specially produced for the baseball players and the runner can use well, of course. Apart from working out, this is also suitable to walk for work. I bought this Reebook trainer just because of its low-cut design. From the synthetic leather upper to the rubber outsole, it all makes me feel so great. 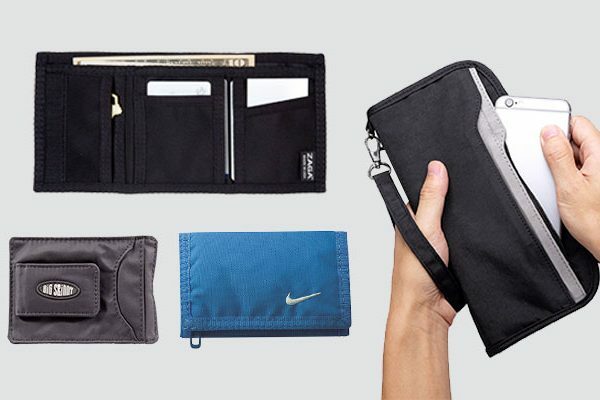 It has also the back tap construction and the memory tech sock liner. Overall, it has high abrasion feature. Verdict: It is the best for you to go to work or gym as well. Love the Free Phylite double midsole of Nike, so I bought this trainer. As all of Nike shoes, this is very durable and lightweight one. Especially, this version is ultra-lightweight with Flywire tech. The shaft is about 2,3-inches from the arch. And the sole of this is made of rubber. Verdict: This is best for who are runners. Moreover, it also works well for golfer, dancer, etc. And if you ask what is the clothes in pair of these shoes? My answer is shorts or jeans as well. The locations suitable to wear them are either gym or office. And I am sure that you can walk, bike, hike and climb on these very comfortably. 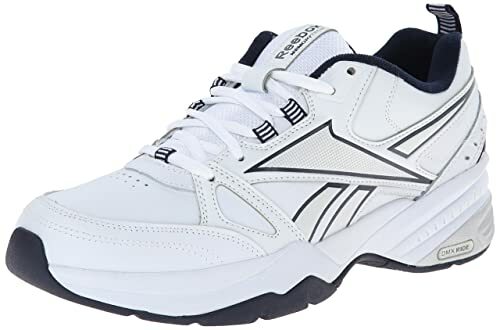 I love Reebok Men’s Royal Trainer Mt Cross-trainer Shoe so much. Among these 3 trainers, I would recommend you to buy it because it hasn’t let me down yet till now. After a long time using, the shoes aren’t still stretchy really, they still nearly keep the entire their initial shapes. Of course, the Adidas Performance Men’s Speed Trainer 2 Training Shoe is very comfortable when wearing too. I have had no pain with it. But in my eyes, its appearance is quite cheap. The canvas upper is very easy to get dirty and become dark then. Therefore, it is not the great one for me. 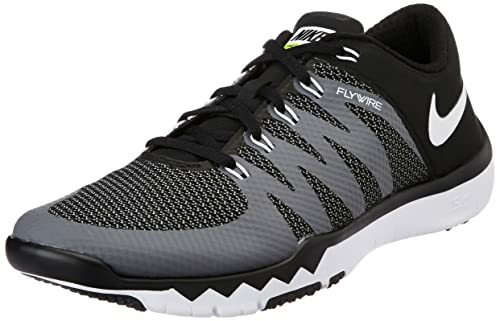 And, Nike Men’s Free Trainer 5.0 V6 Training Shoe is a trainer I think good on both look and quality which you should consider to buy. But for me, the breathable feature of its material performing through the air flows on it works not well. Therefore, it is easy and quick for me to feel hot in these shoes, even when my socks very thin. This is the reason why I don’t love it best. 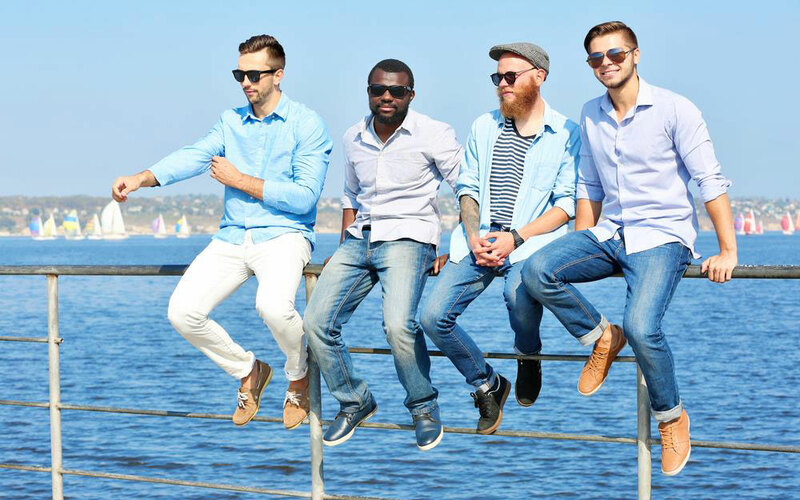 Being a variation from sneaker with low sole, boat shoe is also a brother of loafer when has tinged the style of it, typically as the short ribbon fastener. 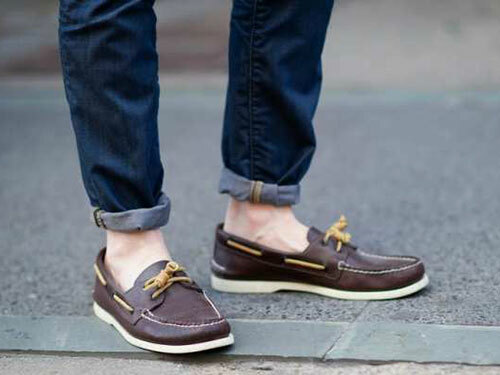 But the boat shoes have the color and style more various, the boat shoe has proven its appeal. 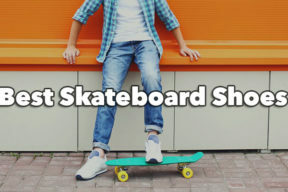 Also known as “deck shoes”, boat shoes are usually made of leather or canvas material. A type of color scheme most common is the upper on classic brown, while the base is the contrast white. 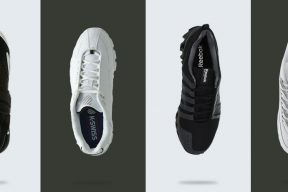 Rubber soles are the most characteristic part of these shoes, inspired from sneakers but lower. 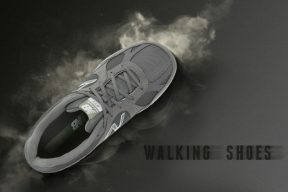 The most special feature in the shoe is likely to increase friction, reduce slip. This is a very important because it would restrict the accident while on the move frequently. Because of this main feature, the boat shoes were once used for work in ports and ships in the past. Sailors often used them. In addition, the sides of the boat shoe pairs also have metal eyelets to help users feel cool and keep shoes dry quickly when wet. It’s easy to take off shoelaces when wet because the cord is made of leather instead of normal fabrics. Cash Warren, Leonardo DiCaprio and Ewan McGregor are the famous people who usually wear boat shoes. This shoe is a design with the sole made of rubber and the upper made of leather. I bought it because I want a pair of shoes which has the heel about 0.5-inches and low-top shaft from the arch. Besides, it is also because I like the detail rawhide lace 360-degree around the collar very classic of this shoe. The metal circles on 2 sides of the shoes easy to fall off. This pair of boat shoes is not the best for daily wearing, long-distance walking. It is the optimal for wearing on a beach and a boat of course. In addition, the garden party is also suitable. It is also very easy to coordinate with the casual dresses. It is a model I bought when I need one shoes for the 2.75-inches heel. Also as another boat shoes, this is made from rubber and leather and the toe has moccasin stitching. But its outstanding feature is laid at the eyelets anti-rust. It is the best for casual style. You will be a real fashionista when wearing it together with all of clothes from jeans, shorts to pants, and so on. But you shouldn’t wear it and walk all of the day because your feet will be sore. Thus, it is also not my choice for travel. This is the shoes I bought because of falling in love at the first sight. The noticeable feature of this shoes you have to know that is the Poron foam for the EVA insert. 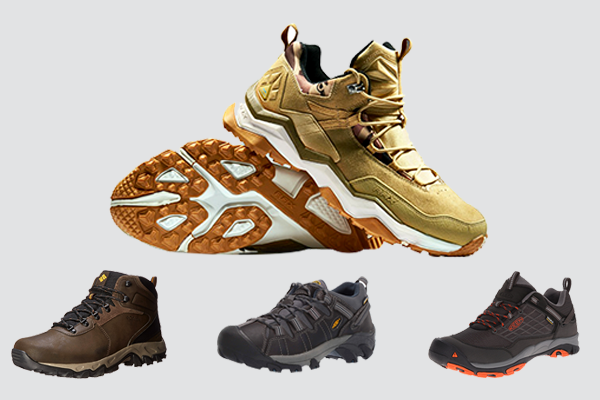 The sole made of synthetic material of this Timberland shoes is also to introduce for everyone. It is best for daily wearing, for example: at office. It is extremely good when being in pair of socks, even when it is a boat shoes. Yes, why not? You can completely wear it very matching with casual dress, such as khakis or jeans. Among 3 above boat shoes, I highly recommend the Timberland Men’s Classic Two-Eye Boat Shoe. As I have said, right at the first glance, I want to bring it home immediately. The leather upper is made very perfectly like shining up. And with the sole of this, you don’t need to worry about the slip. It is the best for sure! For Tommy Hilfiger Men’s Bowman Boat shoe, I have had a shoe rather nice and I think you also should try them. All in all, it is a model comfortable when wearing. But the stitch of it makes me very disappointed, loose and worn. So, it is not a good purchase for me. Talk about the Sperry Top-Sider Men’s A/O Boat Shoe, it is a shoes good enough for you to consider to buy. But in the role of a boat shoes, I see that this item doesn’t work well, because of the very bad wet traction of it. In the scenery and the air at a cool beach, with the sea moving games and swimming in the ocean, the flip-flops are items that anyone should have at least one double. Flip-flop was all too familiar to us. 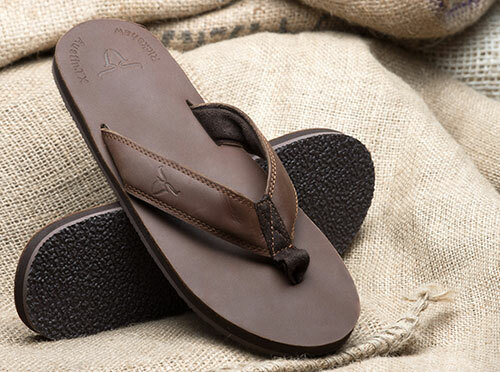 Rubber material of the flip-flop is the perfect choice for cruising. That is not mentioned their simple design which meets all of our activities. A flip-flop is cheap and always readily available. To make flip-flop not look too monotonous or scruffy, choose ones with striking and youthful colors. Other fashion patterns decorated on this item will also help to add personality and originality. Michael Fassbender, Mark Wright, and Zac Efron are the men stars love flip- flops best. I bought this fabric sandal mainly due to the sole of it. This flip-flop sole is made of synthetic material, the midsole is EVA dual density and the out sole has grippy traction feature. It is best for travel, go to camp on the weekend. Of course, it is a great in-house and around-house sandal. Importantly, you can wear it all day and everyday without any pains. This is one of the flip-flop I bought because it is hand –made. This sandal is made of these materials: fabric on the upper, EVA at the insole, PVC at the midsole and rubber at the sole. This flip-flop is also featured by the non-slip and sock resistant. It is suitable to wear on every occasion, but the best is still the casual chance. Let’s wear it in-house of out-house to walk, play sport or take part in the party. And of course, your beach trip can’t be lack of these sandals. This is the flip-flop I bought most lately but it is the one I love best. 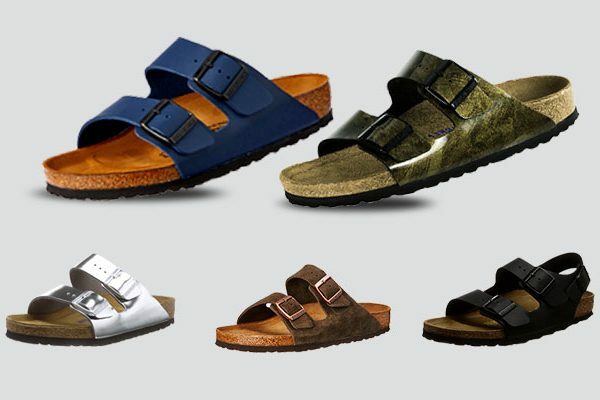 As most of sandal, if has fabric strap and the rubber synthetic sole. It is just 120g weigh, very light! And this is made of EVA at the sole top, has non-slip and anti-shock feature. It is the best for you to slip on and walk anywhere. It is extremely suitable to wear everyday at home. In these 3 flip-flops, I have had listed above, I must tell you that I have never worn any sandal comfortable like NDB Men’s Classical Comfortable II Flip-Flop. In the wet days, I feel very assured because of efficient non-slip feature of this sandal. Meanwhile, I don’t need to spend many to get this purchase for it. So, I think it is the sandal you should to get one. Highly recommend! 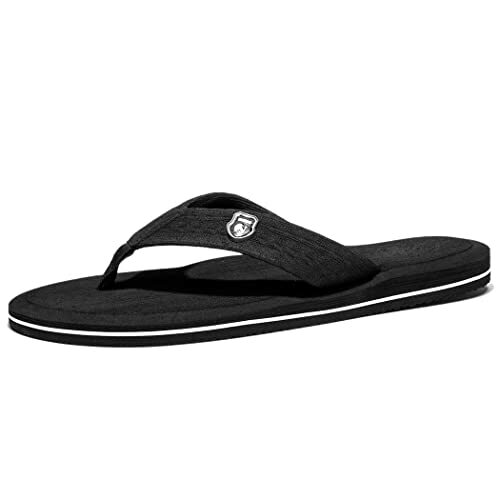 Of course, it can say that Teva Men’s Mush II Flip-Flop is an item makes me pleased. I am appropriating the simple nature of this. 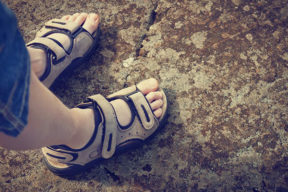 But it is just good as a sandal used for a short term because its durability is only at fairly level. I will not recommend you to buy it. How about the last one in this list? 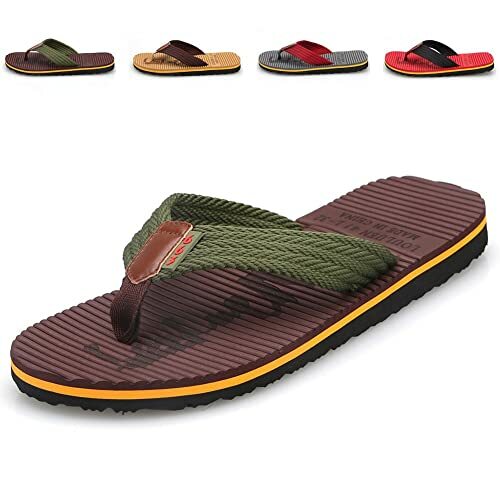 I can’t deny the comfortableness of this CIOR Men’s Handmade Fashion Beach Slipper Indoor and Outdoor Classical Flip-flop Thong Sandals I have gotten. But it is not my favor, I love the design stronger and dustier than this. So, if you are the same kind as me, it is not the best you need. Summer is present. This means the weather will be very hot. Your body as well as your feet sweats a lot. This partly also makes you difficult to choose and change shoes. Like the wet rainy day, the crazy heat also makes people “lazy” to dress up. But that does not mean you will be always in shorts and slippers when going out. Modern fashion always comes with high applicability, and footwear is something that is most evident. Hopefully my suggestions above can help you guys choose the most suitable shoes in the hot summer.